"Getting you where you want to be." Our mission is to get people where they want to be as courteously, safely, and efficiently as possible. 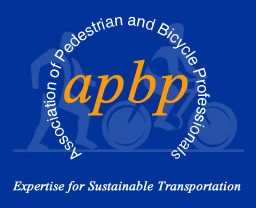 Promoting and providing transportation options. Maintaining the parking infrastructure and the unobstructed flow of traffic. Managing parking facilities and parking spaces responsibly and fairly. Enforcing parking rules predictably and fairly. Providing host services to the campus community. Maintaining a well-trained, sensitive staff. WSU Transportation Services is tasked with financing, managing and maintaining parking facilities as well as to facilitate and promote transportation options on WSU Pullman campus. Transportation Services is a self-supported auxiliary and does not receive federal, state, grant or tuition funding. Revenue for capital projects, maintenance, and operations comes solely from parking fees and fines. For a more details, please review the Transportation Services At a Glance document. This document will be updated at the end of each fiscal year. The main objective of the task force is to have an established internal review process that provides WSU with a global campus perspective and broad representation on parking and transportation issues. The task force members represent various university groups including the Associated Students of Washington State University, the Residence Hall Association, the Graduate and Professional Student Association, a Commuter Student representative, WSU Faculty, WSU Administrative Professional Advisory Council, WSU Civil Service Staff, Transportation Services, Finance and Administration, Facilities Services, and the Parking Appeals Committee. The University Parking and Transportation Task Force was established in the fall of 2002 in response to recommendations by a peer review team who visited the WSU Pullman campus. The task force meets regularly throughout the academic year. TAG is a sub-group of the University Parking and Transportation Task Force and was formed in order to review the effectiveness of current transit services, review proposed changes or additions to future transit services, review financial plans that support transit services, and to solicit and evaluate feedback from various stakeholder and constituent groups. The main objective of the Parking Appeals committee is to assure an impartial evaluation of the circumstances relating to a particular parking violation, and to aid in the appraisal of parking and traffic problem. The Parking Appeals Committee members include representatives from University faculty, administrative and professional personnel, classified staff, graduate, and undergraduate students. The Director of Transportation Services, or his/her designee also serves as an ex-officio member for informational purposes only. For more information on any of these groups, email transportation@wsu.edu. Parking on the Pullman campus is governed by the Washington Administrative Code, follow this link to see the Parking Rules. The state of Washington has mandated that parking at its colleges and universities will be “self supporting.” Your parking fee is a “user” fee which enables WSU to build new parking facilities and maintain existing ones. Without these fees, we would not be able to provide adequate parking facilities.